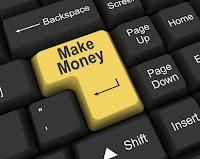 The truth about using the Internet technology to make money online in Nigeria beyond the fun of browsing the internet, sharing with friends, relations and colleagues on social networks like facebook, twitter, youtube may not be narrowed to money making opportunities of Internet marketing or affiliate marketing of info products; ebooks, audios, videos, and subscriptions amongst other proven online business models. A lot said and heard about online businesses making serious legitimate money on the Internet without having to own an office or hiring staff and all the logistics associated, but that wouldn't be all there's. Today, any branch of life, business, social, technology, entertainment...Just name it! "Nigeria's Marketplace for Products and Services." Google recently launched an online classified website and listing called Google Trader within a few African countries namely Nigeria, Ghana, Kenya and Uganda. This is huge and resourceful Nigeria's marketplace for products and services. Great tool online for business owners and Entrepreneurs to reach prospects and people searching for products and services to buy or hire.